The [Sometimes] Daily Pic: The Joy of Spinnings and Spots!!! The [Sometimes] Daily Pic: Many people like Damian Hirst‘s spinning paintings with their explosive outward action! They are like ‘action painting’ on steroids that supposedly highlight arbitrary and expressive forces. I love the title of this one on the left “Beautiful, Pop, Spinning Ice Creamy, Whirling, Expanding Painting” (1995) and I would say it is a real buzz to make them. But I think these paintings formal strength is best shown by contrasting them with Hirst’s ‘Pharmaceutical’ paintings [aka his ‘spot’ paintings]. This one on the right is called ‘Abalone Acetone Powder’ (1991) with its name taken at random from a pharmaceutical catalogue. I see both of these paintings as different expressions of immersive joy. The spinning series is a very Dionysian expression of joy, its sensual, spontaneous and emotive. Its an outward state. The spot series is far more Apollonian, rational, ordered, and self-disciplined in its use of colour. It feels like joy on drugs [hence the title] and is very inward. See what you think. The [Sometimes] Daily Pic: ‘Tree of Life’ (1993/4). 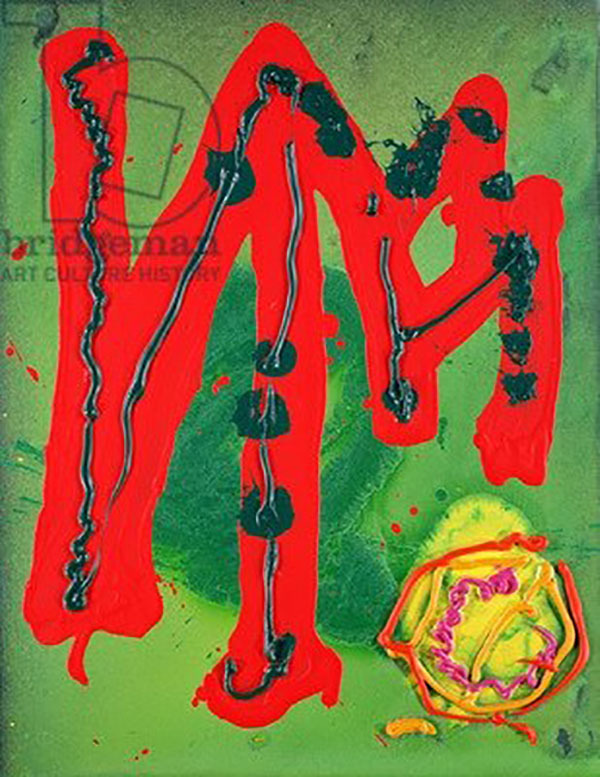 The [Sometimes] Daily Pic: This is ‘Tree of Life’ (1993/4) by the now deceased John Hoyland. Hoyland, from the UK, was inspired by the American Abstract Expressionists, especially by Colour Field painters like Newman and Rothko. The very intense use of colour and gestural abstract forms were also heavily influenced by his travels, especially Jamaica. Here he is exploring the myth of the ‘Tree of Life’ in his usual bold style showing feelings in visual form through the properties of gestural painting. [ignore the watermark on the image]. For me, I really like the freedom and liberation of working so directly like this. It is surprisingly difficult to do. The [Sometimes] Daily Pic: ‘The Cacodylic Eye’ (1921). The [Sometimes] Daily Pic: This is an oldie but a goodie. ‘The Cacodylic Eye’ by Francis Picabia (1921). 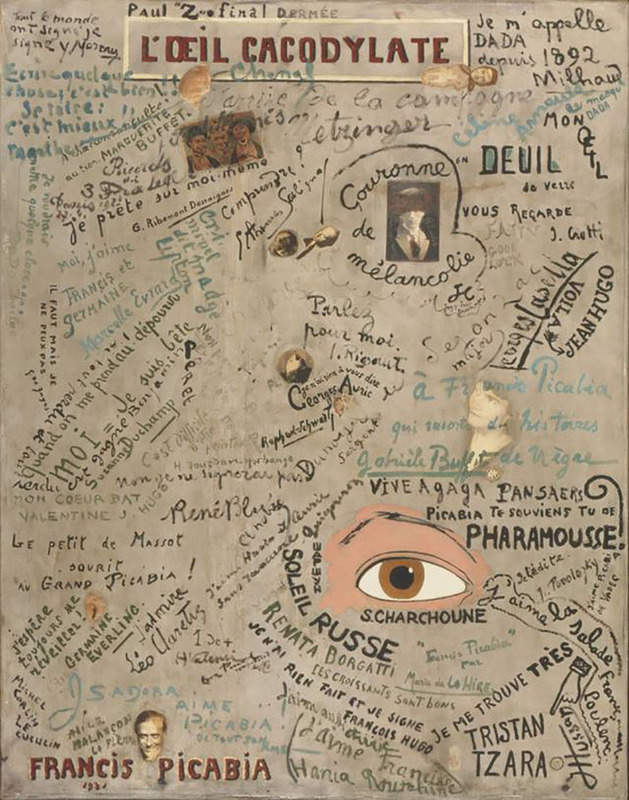 Picabia had eye surgery back in the day, during recovery he painted this disembodied eye on a canvas and asked all visiting friends to sign or message it. So it became a kind of get well card by visiting artists, musicians, writers and even Marcel Duchamp [oh and the Devil it seems]. A kind of cooperative piece of work is the result, the title is from the Sodium Cacodylic used for treatment and post operative recovery. Its roots are Dadaist [think: ‘anti-art’] parodying traditional art values at the time. The [Sometimes] Daily Pic: ‘Lucifer’ (1947). The [Sometimes] Daily Pic: “Triple Hulk Elvis I” (2012). 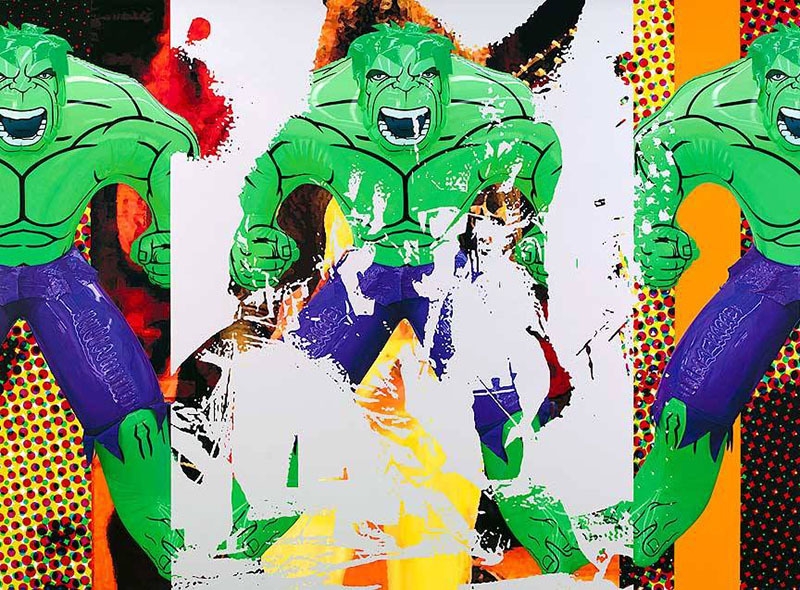 The [Sometimes] Daily Pic: This is “Triple Hulk Elvis I” (2012) by Jeff Koons.Koons is part Pop, part Dada and part Surrealist. His artworks steals from art-history and various commercial styles. Big on ideas of ‘kitsch’, the cutsie low-brow style of mass-produced art that we find in tourist shops and their ilk. This is a large oil painting of his from 2007 and part of a series of 20 which Koons describes a classic reinterpreted image of guardian gods. The [Sometimes] Daily: “White Square on White Square” (1918). The [Sometimes] Pic: Just a quick fix today. 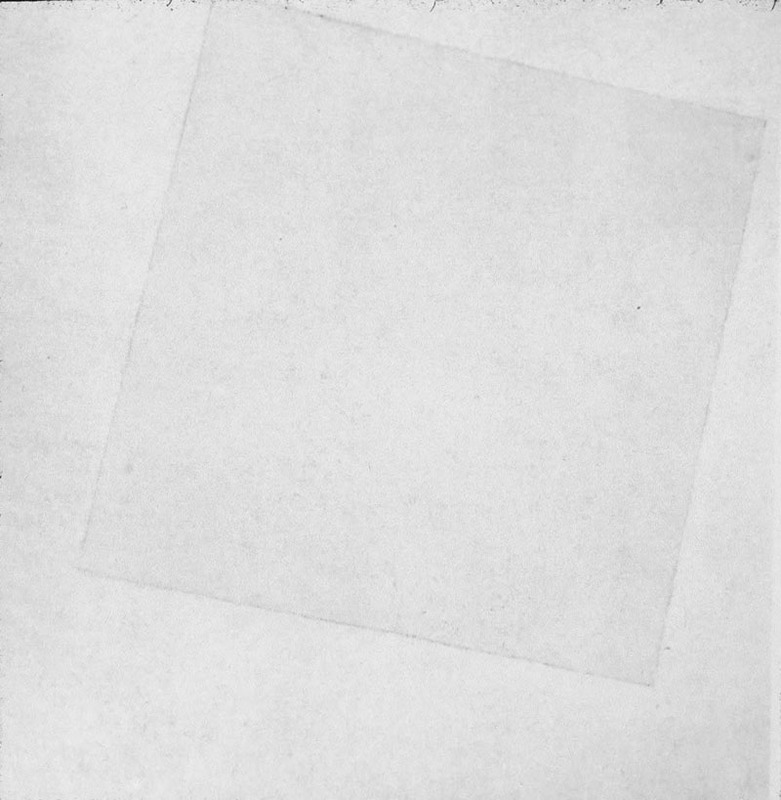 This is “White Square on White Square” (2012) by Russian artist Kazimir Malevich. His work in this series of paintings is basically an expression of the purity of ones subjective universe. There is such a minimal purity to this work that it can throw many. Ill post more on Malevich at another time. The [Sometimes] Daily Pic: “Bodyheat” (2012). 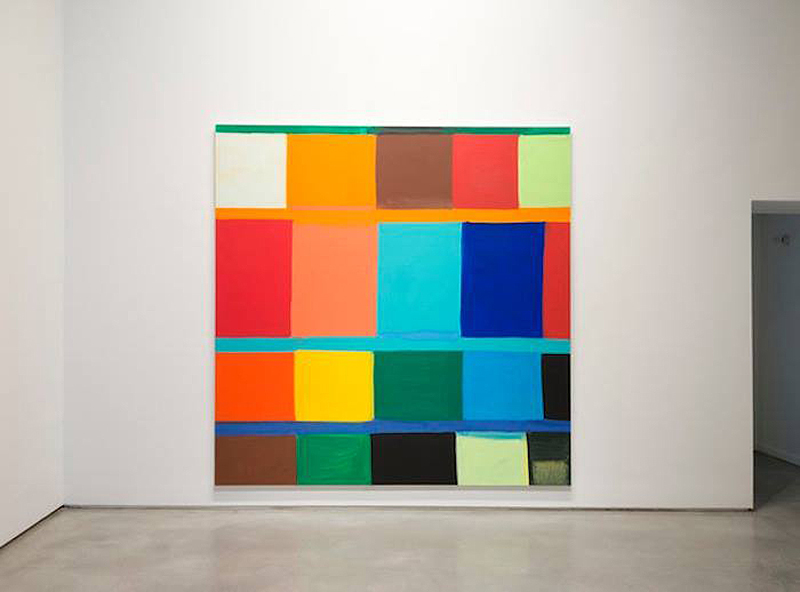 The [Sometimes] Pic: “Bodyheat” (2012) by Stanley Whitney. I love this guy’s work. Without going to artsy I think there is a wonderful mash up of formalism mixed with abstract expressionism. Colour as structure is how I have heard it being described. The [Sometimes] Daily Pic: “Stephen’s Iron Crown” (1981). 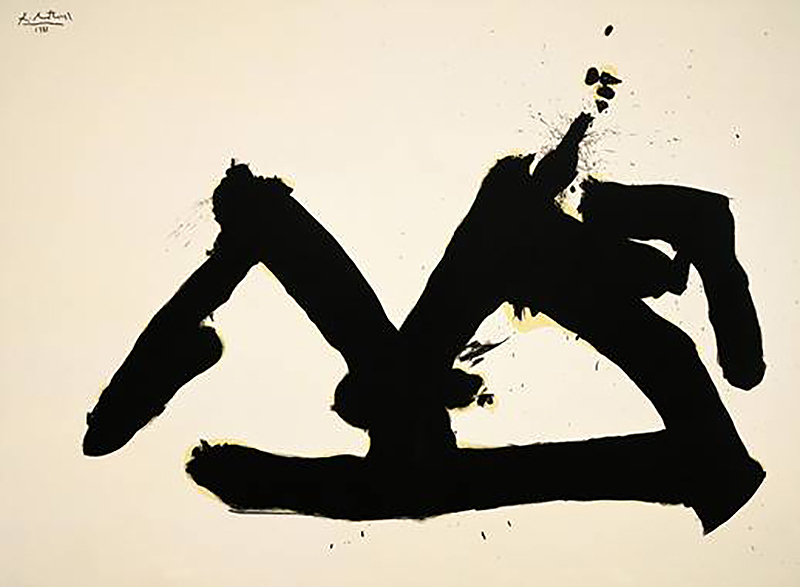 The [Sometimes] Daily Pic: “Stephen’s Iron Crown” (1981) by the American Abstract Expressionist Robert Motherwell. Those that know my art preference will know I have loved Motherwell for many, many years. He paints with the rawness and honesty of Ensō or Zen masters. This is from a series of works based around the writing of Joyce and generated by the process of automatism.